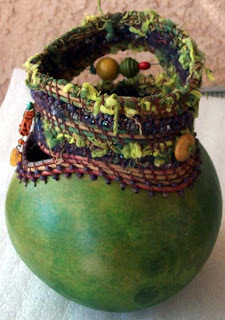 I must admit...I don't know what I would do with a gourd, but I LOVE yours and the one on the other site. They are gorgeous!! You are one talented lady. this is really beautiful! 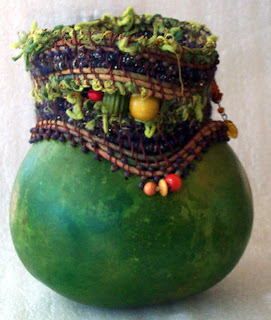 one summer half of my mom's garden was gourds, she wanted me to make something cool with them...i tried, but i didn't get far at all ...but yours, wow, i really love it!